Registered Nurse (RN) profession is one important cornerstone in the healthcare system. RNs ensure that any complexities associated with the patient care process run sleekly. Without the efforts of a registered nurse, any healthcare facility is doomed to failure. The need for registered nurses has been growing swiftly over the past 2 decades. All graduates from either ADN or BSN programs who have passed the National Council Licensure Examination (NCLEX-RN ) can work as a registered nurse. 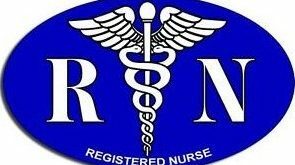 A registered nurse’s job includes a mixture of tasks and regular practices which may change based on their specialization and the nature of their working place whether it’s a Hospital, Physician’s Office, Home Healthcare, Nursing Care, Prisons, Educational Facilities, Private Clinics, Military Facilities. What is an Advanced Practice Registered Nurse (APRN)? All RNs are required to obtain at least a nursing diploma or associate’s degree (ADN). However, a BSN degree holders have more chances of getting the job. All APRNs are required to obtain at least a master’s degree in nursing (MSN), and sometimes they may be required to obtain additional credit in more practice-focused subjects or even to hold a doctoral degree (DNP). PS: Before registering to any RN program, it’s strongly recommended to double-check its accreditation status.